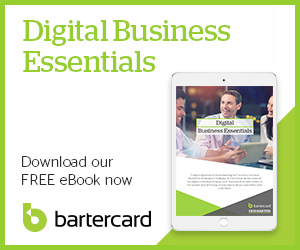 Bartercard members receive an interest-free line of credit which allows them to make purchases immediately upon joining the Bartercard network. This interest-free line of credit enables members to continue using the Bartercard network to make purchases even during times when their cashflow has slowed. This way, members can conserve their cash while always having access to the goods and services available through the Bartercard system. These credit limits are reviewed regularly by Bartercard's credit department and can be extended or reduced depending upon the members trading history within the exchange. Members can also apply at any time to be considered for a credit limit increase.